It's a swing, it's a toy ... it's Cork A Round! 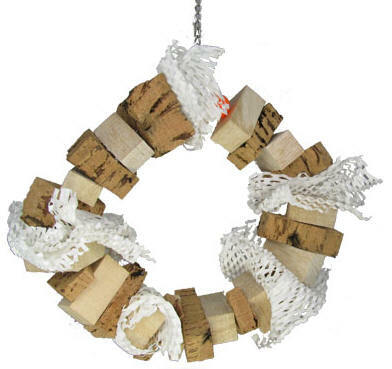 Our parrots love balsa and natural cork so this is a natural for them! Separated by some fun, waffle paper, there are different size chunks of natural cork and balsa throughout the toy! Strung on nickel plated welded wire with a nickel plated chain and quick link on top for easy hanging. This is sure to be a delightful toy for most mid sized birds!